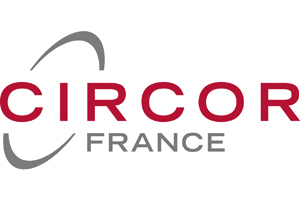 Paris, France – CIRCOR Aerospace, a CIRCOR International (NYSE:CIR) company, has completed the creation of CIRCOR France to support European growth strategies. CIRCOR France (formerly Industria, S.A.S. ), based in Le Plessis Trevise near Paris, will function as a holding company for European and North African business activities. Under the aegis of CIRCOR France, the newly named CIRCOR Industria will develop the operations of former Industria, S.A.S. Other activities held by CIRCOR France are Bodet Aero in Chemillé, France, and ATLAS Productions of Tangier, Morocco. CIRCOR Industria is located in Le Plessis Trevise, which designs and produces a full range of valves including solenoid, solenoid actuated, motor operated, and manifold systems for exacting hydraulic, fuel and pneumatic functions. CIRCOR Bodet Aero has over 20 years of experience in the design and manufacture of specialized aircraft controls system components including aircraft landing gear wheel speed tachometers, flight control pedal transmitters, speed reducers and integrated fluidic and electro-mechanical controls components. The A D N (Ateliers de Navarre) facility was merged into Bodet in 2010 and has expertise in DC & AC motors, stator, rotor, and solenoid and bobbin assembly. ATLAS Productions was formed in 2005 in the Tangier, Morocco free trade zone and specializes in low cost manufacturing of aerospace components.